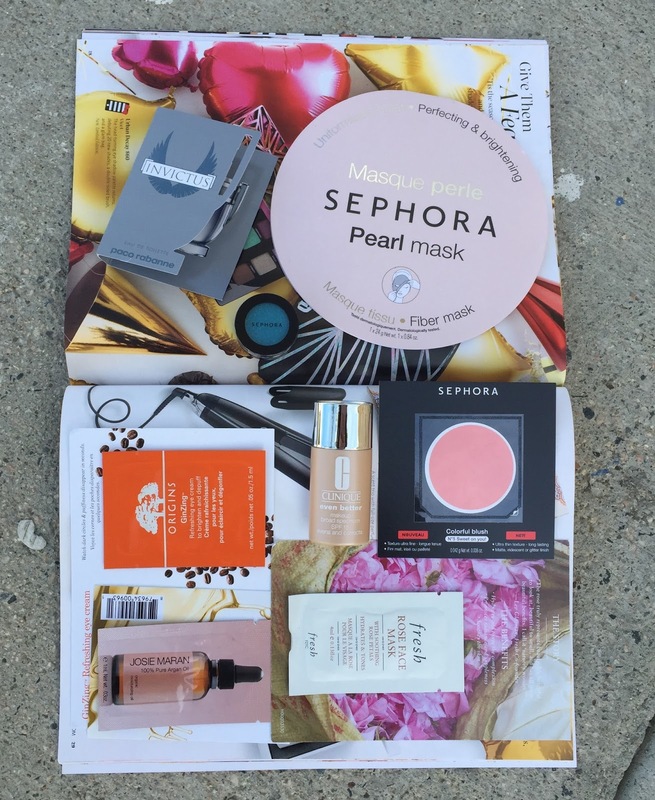 Today I want to share the goodie bag that Sephora gave out this past Cyber Money with a $25 purchase. They had a few other codes that I really wanted to use but they did say that there would be one full-sized Sephora mask included in this goodie bag, which I think will make a neat stocking stuffer for Cici so I went ahead and used the code for this. I was told today that the code is still active for this baggie, in case you are interested in grabbing it. Overall, for me the Oh What Fun! bag is kinda meh. I am just NOT a fan of samples and very rarely do I use any that I sent. I had hoped we would get a few more deluxe samples. The Sephora mask retails for $6 on the site and the one I got is the Pearl Mask which is for brightening skin. This made the bag worth while I guess. There were two deluxe sized products: a Sephora eyehadow and a sample of Clinique's Even Better Makeup. What would have made this goodie bag perfect for me would have been a deluxe sample of mascara, black liner or a lippie since those are the things that I love most but still this was a nice freebie and I now have a Sephora mask to give one of my girls. 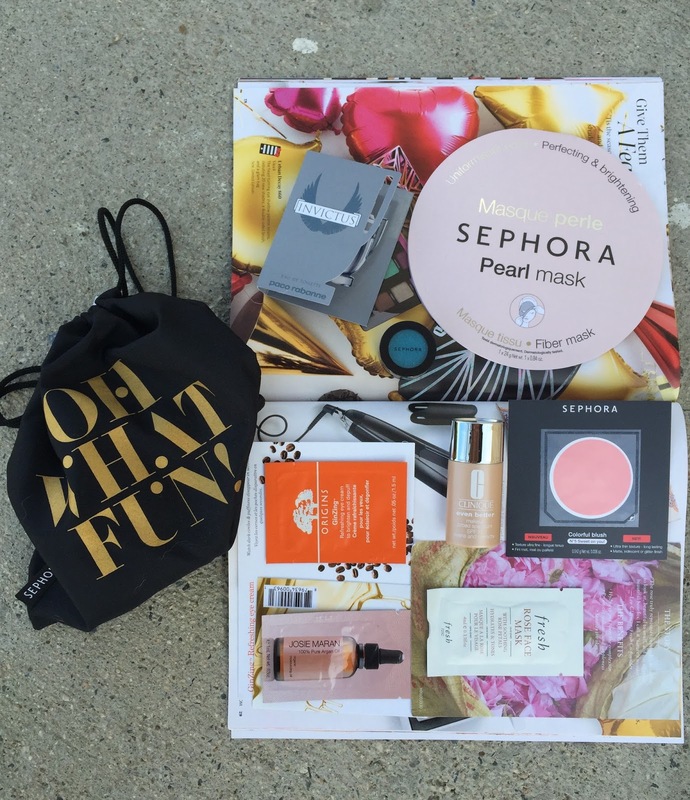 Did you score a Sephora Oh What Fun! Baggie this Cyber Monday? The Sephora blush looks lovely! They should've put in a deluxe sample, since you had to make a $25 purchase.